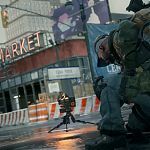 The Division has been out for a week now, and having played well over two days worth of the game, I feel I can finally give my opinion on what The Division has to offer. When the betas first opened, I felt empty after they finished. New York looked like nothing else that I’d seen in a video game, and the level of detail in the world finally felt like this was the first truly next generation game. I was lucky enough to participate in two of them, and saw how the game has progressed through what will be its ever evolving world. New York has initially been struck down with a deadly virus passed around through the vast sums of money that exchange hands on Black Friday. This has caused the island of Manhattan to close its tunnels and bridges, and seal the island off to those outside to contain the spread of the contagion. A first wave Division unit has been sent in to break up the violence that has spread throughout, but things start to go wrong from here on in. You start off in Brooklyn with a brief tutorial, where you learn some of the games core elements. From movement to cover weapons and armour. However, this is where the first disappointment comes in to The Division. The character creation is poor. You can choose to be a male or female agent, but only with a limited amount of prefixed faces; the options are the bare minimum. You can add facial war paints and scars, and if I remember correctly up to three neck tattoos as well. 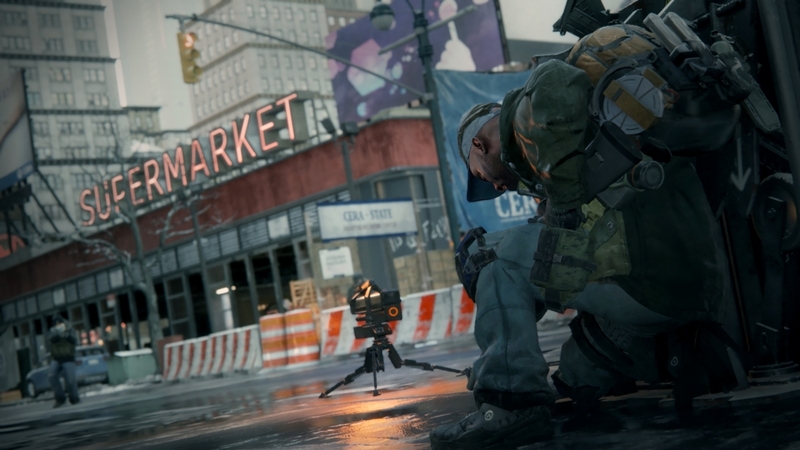 The Division fails as a large MMO for me on this front. When we were creating our characters in the Beta there were more or less the same options, and in the full release I would have expect more. The only saving grace is that the game never really shows you your characters face, and cosmetic customisation is better than other games on this scale. New York is beautiful. It’s not as polished as the E3 demos from over the last few years, but it is still highly impressive. 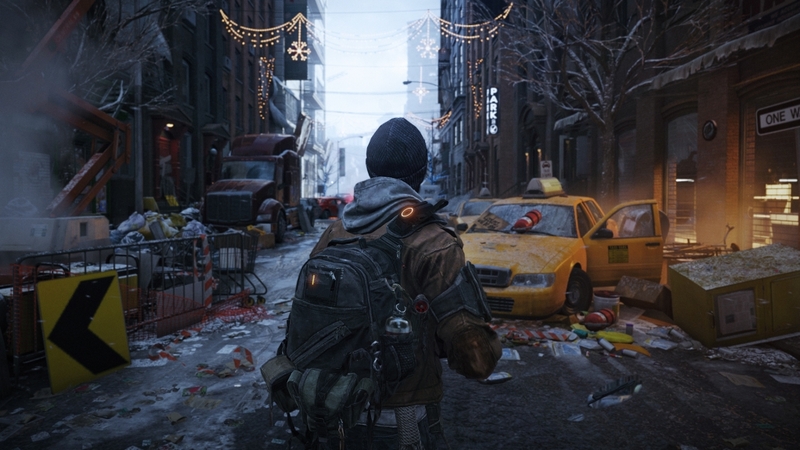 Each area within the game world has its own unique and distinct feel to it – from the docks and fish market where you begin the game, through to Times Square, a not too distant trek down the road. The game world feels alive, yet desolate at the same time. There are numerous buildings you can enter and rummage through; and whilst you can’t explore all buildings, there will still be a lot to see within the game’s expansive environment. I have to give more credit to the developers Massive, as there are a few areas in the game that really made me feel uncomfortable with what had happened. Think along the lines of atmosphere in Condemned and you’re part way there. 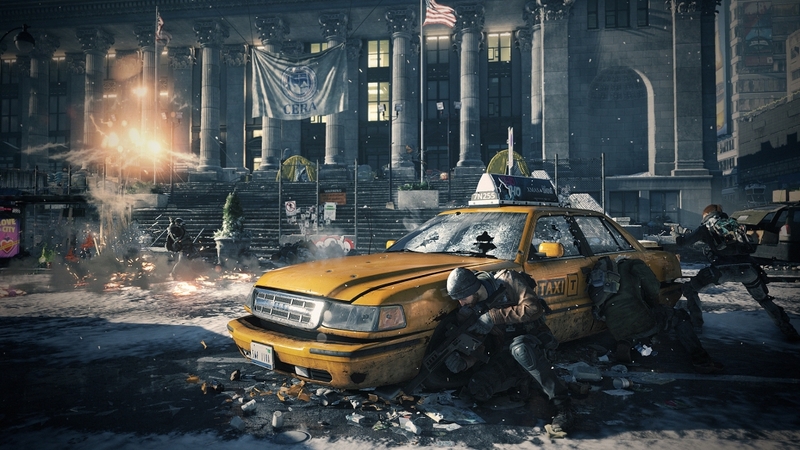 New York has been well researched, and whilst your character may have the same face as everyone else, New York is the real star here and the developers deserve all the praise that they can get for this. 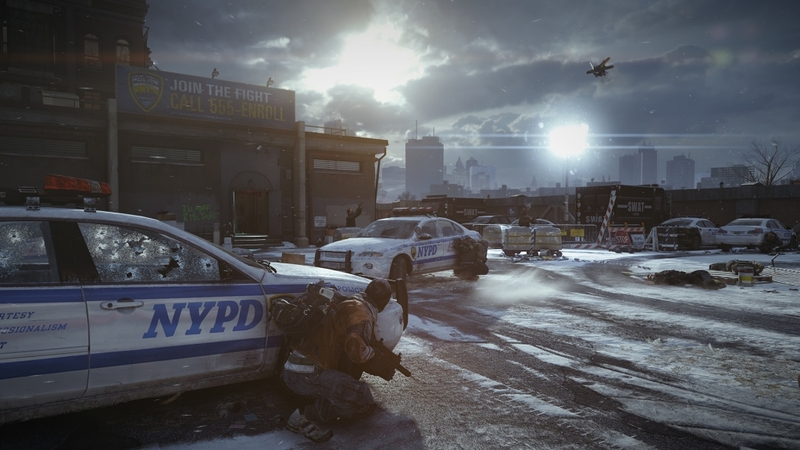 There are four factions in and around the Manhattan area fighting for control of the streets. The first group you encounter are nothing more than thugs and rioters, aiming their guns at you as if they’ve watched too many action movies. The way the faction move between cover and fire at you shows their lack of skill with weapons. The Cleaners are clad in fire protective suits and carry some heavier weaponry. They believe the best way to rid New York of the virus is with fire, and when you encounter a group of cleaners you will inevitably be dealing with flamethrowers. The Rikers are hardened escaped convicts, and they are the ones who are partying the hardest. Having complete control over the scared and frightened city they’re enjoying running riot. 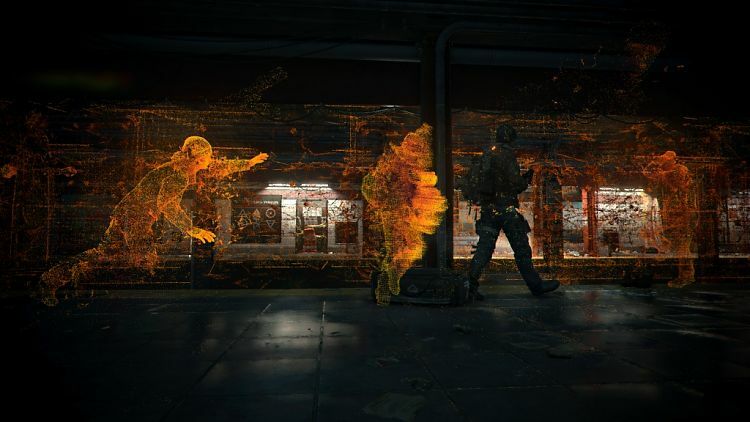 The last faction is the LMB, The Last Man Battalion – military trained soldiers with the same kind of tools the Division agents carry with them. Each faction has the same general types of enemies overall, and whilst your game play may change for each faction, they become easy to recognise and deal with accordingly. Each enemy also has their own specific weak point that can also be exploited during combat, whilst it may not kill the enemy outright, can certainly reduce that one person to low health – as well as damage other people in the vicinity. 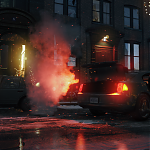 Civilians still roam the streets – walking around trying their best to avoid fighting and scrounging for items whenever they need them. Stray dogs defecate in the streets, and the gangs in the Manhattan area roam their turf just waiting for you to take it back from them. New York is a harsh place to be. Set during the cold winter months, snow and fog are very much part of the environment. The weather also becomes a large part of combat in the game – both in some way reduce your vision and change the way combat plays out. 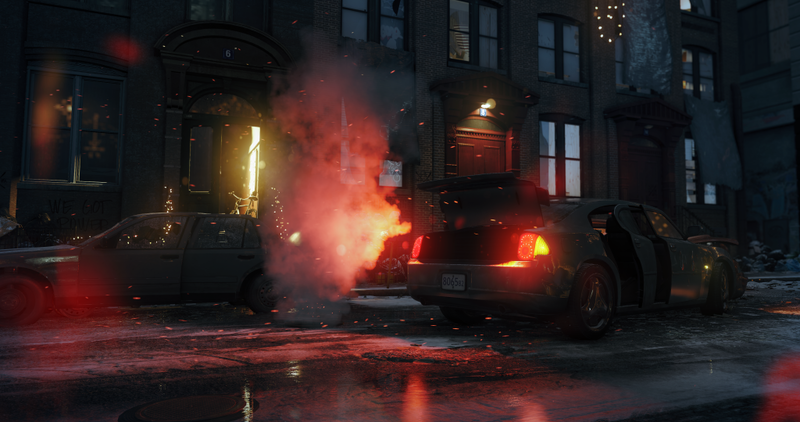 The day night cycle brings things to life in campaign mode, and when running missions you may start during a clear day and end during a snowstorm at night. It really gives a feeling of time passing more so than most other games I’ve played – missions have extra replay value due to this factor. The Snowdrop game engine really shows what it can do during these moments, and seeing it all in action is jaw dropping. Even after playing The Division for a week it still has something up it’s sleeve to surprise me with. 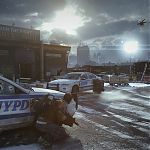 As you arrive on Manhattan you are tasked with reclaiming what will become you main Base of Operations, and the game then introduces you to a few new characters a handful of missions at a time. You’ll earn some Tech Points as you complete the main mission and side quests; these points can be used to open up a section of the base and allow you to gain some character skills. There are the three main sections, the Medical wing, the Tech wing and the Security wing. The Medical wing gives you character the ability to heal during missions, or rescue downed players. The Tech wing gives you some nifty little toys to deploy in combat, with the Security wings giving you ways to reinforce cover or a ballistic shield to use. 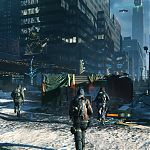 The Division never tells you how to set your character up, and how your character develops is down to you your style of play. Want to set up as a Medic Tank? The Glass Cannon? What if the other players in your game don’t have a medic station, or a way to stun enemies? You can change it all on the fly. You’re never restricted to playing a certain way in the game, and this flexibility allows you to mix and match your skills with your team mates. Whilst you won’t be doing too much of this in the early part of the game, later it can be the edge that allows your team to progress further, or come unstuck at a boss. 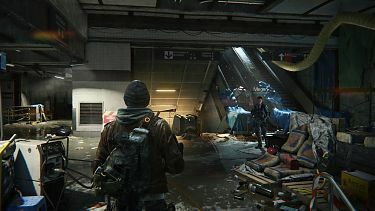 The single player campaign, which can be explored with a team of four doesn’t really hold its own compared to the Dark Zone – which is currently the end game content. 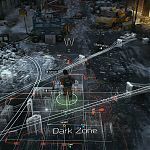 The Dark Zone is a hostile part of New York that is sectioned off from the rest of the island, contained within its walls is nothing short of pure anarchy. The area is split into sections and feature level specific enemies – all of whom drop better loot than what you’re already equipped with. To extract this contaminated loot you need to call in a helicopter at a certain location, then hold out for a minute or two whilst your lift arrives. The first time you extract is a nervous experience, and you should always be wary of the players around you. 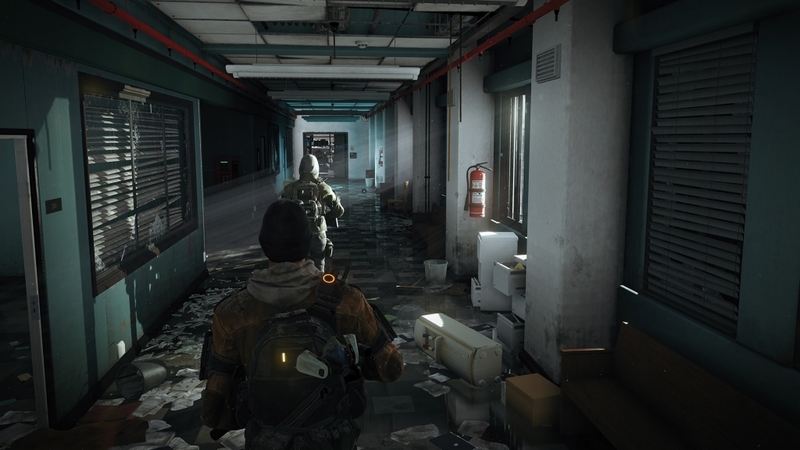 If you have some valuables it’s always worth holding off extracting until other players have gone, as the Dark Zone also acts as the game’s PvP area. In The Dark Zone other players can kill you and rob you of your hard earned loot. 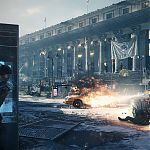 This in turn will make them Rogue, which means that whilst your loot can be stolen, other players will know of their status and then form a manhunt around the area. It can be genuinely nerve wracking, and not without some problems – accidental shootings turning you rogue for 10 seconds and then being mowen down by every agent in the local vicinity. What I mean by accidental is another player walking in front of you while you are shooting an enemy. This needs to be address by the developer, as it happened several times to me or my team – even other matched players. When it does work correctly though, even the most seemingly friendly agents can turn their gun on you, giving you a feeling of paranoia when running around The Dark Zone. 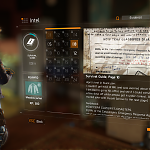 Dying in the Dark Zone brings some penalties with it, and part of this is losing not only some random loot you are carrying, but currency and XP as well. There aren’t too many people going Rogue at the moment because of these penalties. It’s a shame because this is certainly one of the most interesting aspects of the game, and whilst rogue agents should be punished if they are killed, the penalties outweigh the reasons not too at the moment. 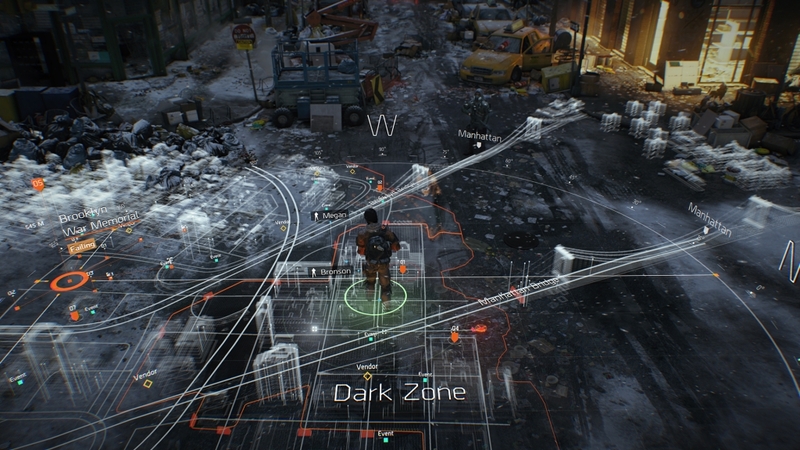 The Dark Zone is also where you’ll find the best gear to use with your character. 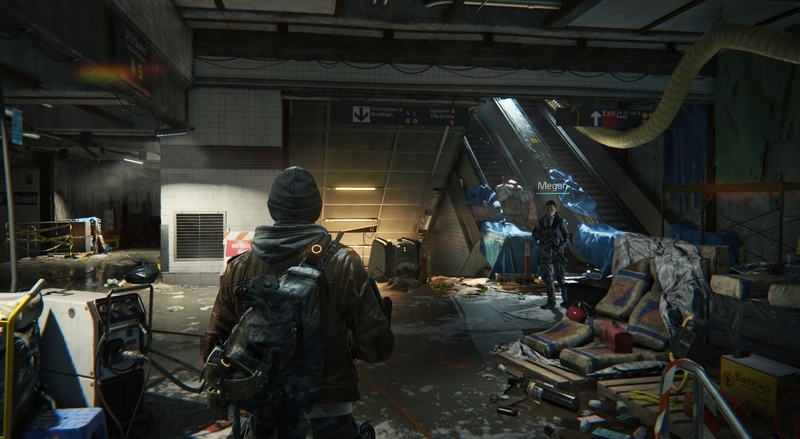 The Division doesn’t do anything new with the way loot drops, but it has borrowed from similar games. Obtaining the best loot in the game or “High-end” as it’s called requires you to farm bosses in the Dark Zone. They vary from faction to faction, smothering the area with their presence. Killing a named enemy gives you a chance to drop some High-end gear as well as some Phoenix coins – which you can use to buy blueprints if you have the required materials to craft it. You can drop or craft the same piece of armour or weapon twice, but the roll on both pieces will be completely different each time. There are minimum and maximum statistics that the item could hit, but having a high DPS may lower your health or vice versa. This is where the replay value and the grind come in. It’s trying to find that piece that fits in with your character build that can make the difference in The Division. 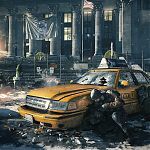 The words bullet sponge and realistic have been banded around since the beta’s released, and Tom Clancy games have always been associated with realistic, never bullet sponge. This will be an issue for some people. I love games like this – where you build your character from scratch and obtain the best loot you can for your character. There was one point where bullet sponge effect my playing of the game. I don’t have that much in the way of High-end gear presently, which may be a part of it, but the daily challenge mission becomes a war of attrition with the enemies as you grind through it. More are thrown at you and they hit really, really hard – even with a full clip of sniper rounds in to an enemies head, you won’t kill them easily. Up until this point I had no problems with the 3-4 sniper rounds to the head and the realism. I know some people do, and will have this issue, though I understand why it would matter. Tom Clancy’s name has never produced a game that has been grounded in a realistic environment while holding a RPG like feel. Rainbow Six Siege released just before Christmas, and I’ve played most Tom Clancy games because of the realistic factor and bullet physics of the games. This is another genre of game and with the Tom Clancy named attached to it, you come to expect certain things from it. One thing that struck me as odd was bullet penetration is missing. This has always been a real selling point for me when opting into Rainbow Six games, and it seems odd not to have it. The reason why it’s not in the game is you would get shredded to pieces within seconds when behind cover. Since launch the servers have been taken down for maintenance a few times to patch some glitches. This bodes well as Massive are looking to update the game and listen to player feedback. They want people to be playing this as much as possible for as long as possible. 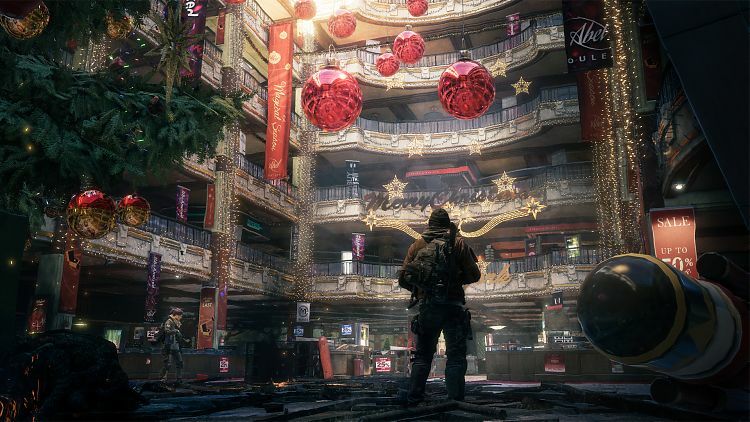 Two free patches have already announced (coming in the next few months) that will add a few incursions or raids; as well as updating the way the Dark Zone works. I could easily look back at this review in six months time and some of the points I’ve raised may have been resolved. 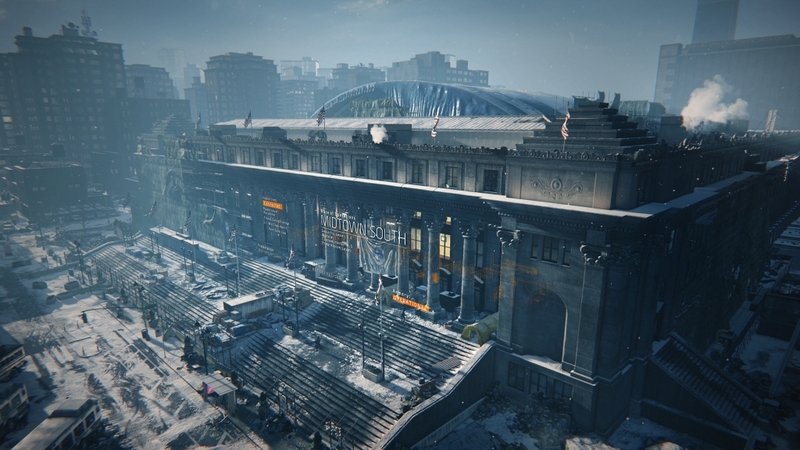 If The Division is supported correctly by Massive and Ubisoft, it could go on to be an ever changing, ever evolving world. One thing that needs to be looked at urgently is the single player portion of the map. It is a wonderful achievement in scale and design, but after you have completed the main portion of the game, there’s no real reason to really go back and explore – apart from the open world collectibles. 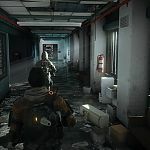 The game needs to have something along the lines of a riot control, or protecting Citizens from the Cleaners, taking out some VIP officials in the LMB – something that encourages players to travel back through the single player part of the map, otherwise the end game is just spent looking through the daily missions and the Dark Zone. With the world built so well it would be a crying shame not to send players back through the streets of Manhattan. 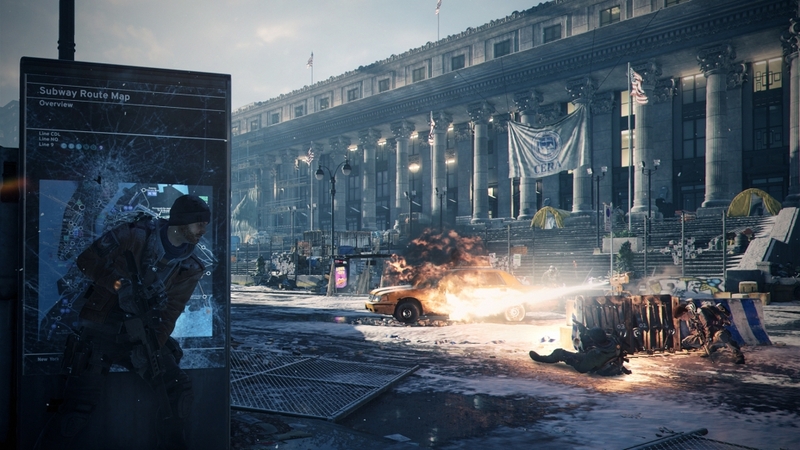 Currently, The Division is a great game, but not without its issues. The servers can lag horribly at times and literally freeze your game – enemies will catch bullets with their teeth and spit them out. 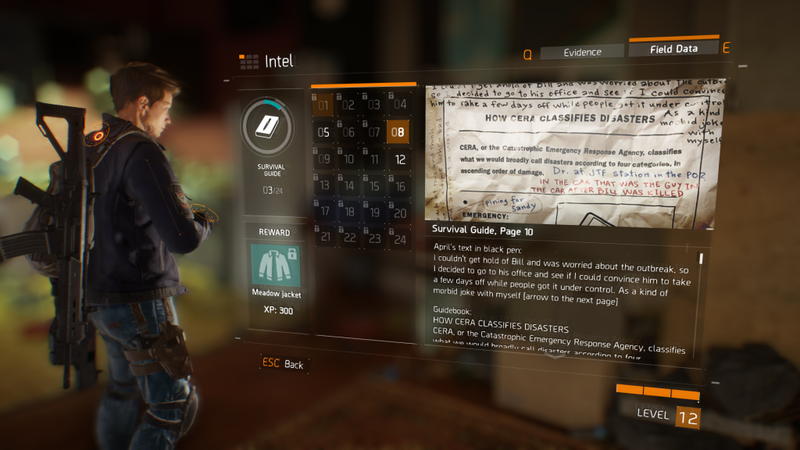 The lack of end game content until the incursions are added is a little sparse. Unless you can forgive the games shortfalls and understand that even a M16 Assault rifle or M44 Garand won’t kill an enemy in one shot, The Divisions New York is a place you will want to visit. 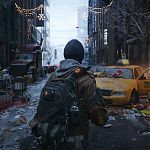 This review is based on playing the Xbox One version of Tom Clancy's The Division .